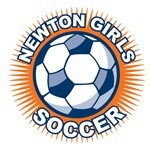 It is the policy of Newton Girls Soccer that no girl should be denied the opportunity to play soccer due to her family’s financial situation. Requests should be submitted by email at least 7 days before the program registration deadline. Scholarships cannot be applied retroactively. Once you have registered and paid, we cannot refund your money in lieu of a scholarship. To request financial assistance for any NGS program (except for the Academy), email the NGS President at president (at) newtongirlssoccer.org. All scholarship requests are confidential. NGS may request documentation of need. NGS uses the HUD Section 8 Income Limits for our region as a benchmark for scholarship eligibility. Please submit your application after you receive the invitation to join the academy. If financial assistance is approved, we will send you registration instructions via email.